With cellular data traffic expected to grow 9 times by 2020, according to the Ericsson Mobility Report, and current telecoms infrastructure struggling to respond to this demand, Philips SmartPoles are enabling seamless mobile wireless 4G/LTE connectivity, with the small cell technology from Ericsson housed in the poles to enable increased data capacity in the telecoms network. Philips SmartPoles were specifically designed and tested to accept FCC licensed wireless mobile network operator equipment. This enables an alternative deployment methodology for 4G LTE broadband services which will connect each pole through a fiber link to its core network. TTP’s new eNodeB based on the QorIQ Qonverge® BSC9131 addresses these challenges. It fits into a photocell socket of a standard lamp post, providing the quickest possible installation without any modification to the lighting column or its power supply. The solution incorporates LTE Access Point software from ip.access and has been demonstrated with the Quortus ECX Core evolved packet core. It is targeted at 50 metre cells, supporting up to 32 active users at downlink rates of up to 100 Mbps. 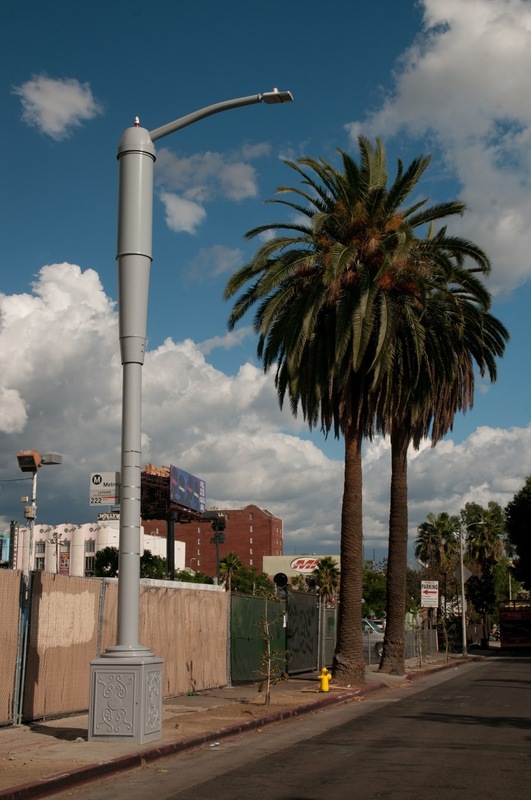 This conceptual lamppost above was conceived as a part of Oakland Innovation Project in 2013. While its good, its not ambitious enough as it talks about just WiFi for connectivity. On the other hand, V-Pole (Vancouver Pole) concept by Canadian writer and artist Douglas Coupland shows what may be possible in the distant future. 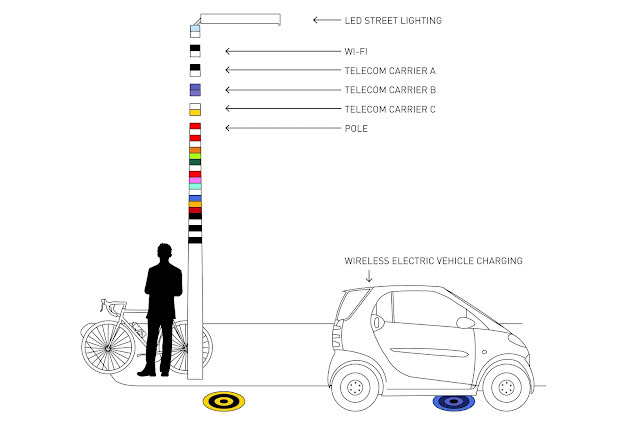 It is a wireless data, electrical vehicle charging, neighbourhood bulletin board post that is also an LED lamp post that could eliminate some of that clutter. I think it will still take quite a few years before technology can make this possible. Press release from 2012 available here. I look forward to the day when street lights and lamp posts can do more than simply provide lighting and be a hub for providing connectivity and much more.